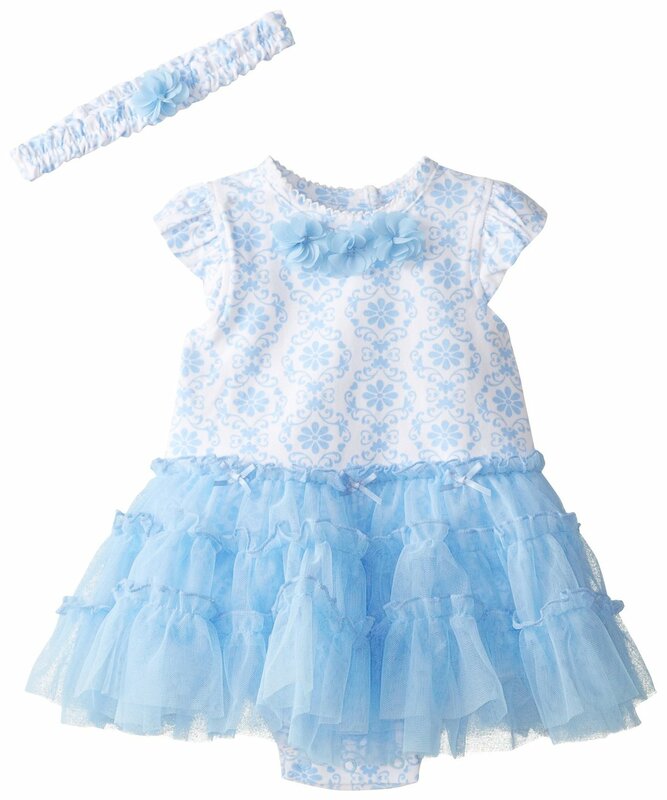 Beautiful blue knit tutu damask bodysuit dress features gorgeous layers of blue tulle, flowers at bodice and matching headband. Snaps at inseam. In cotton knit with woven lace and organza. Machine wash. Imported.